President of the Centre National d’Études Spatiales. CNES is responsible for proposing and implementing space policy in France. It is involved in all aspects of space (Ariane, Sciences, Observation, Telecommunications, Defence) through its four centres of excellence in Paris, Toulouse and French Guiana, with 2,400 employees and a budget of more than €2.4m (2019). CNES also represents France on the ESA Council and at many other international organizations, and is a partner in various commercial enterprises. He received the Astronautics Prize from the French Association of Aeronautics and Astronautics (AAAF) in 2001. He was named Via Satellite magazine’s 2005 Satellite Executive of the Year and received a Lifetime Achievement Award in 2007 from the Asia-Pacific Satellite Communications Council (APSCC). In 2011 he was inducted into the Hall of Fame of the Society of Satellite Professionals International (SPPI) and received the Icarus Prize from the French association of professional aerospace journalists (AJPAE). In 2014 he received a Laureate Award from Aviation Week & Space Technology magazine and in 2018 the California Institute of Technology presented him with the International Von Kármán Wings Award. 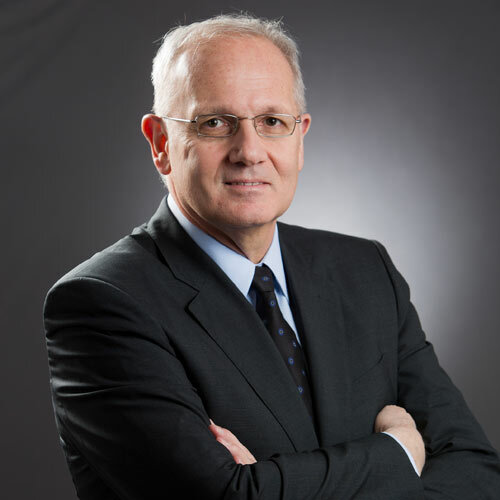 The 66th International Astronautical Congress (IAC) in Jerusalem came to a close on Friday 16 October with the election of CNES President Jean-Yves Le Gall as the next President of the International Astronautical Federation (IAF) for a three-year term starting in September 2016.